YOU'RE WELCOME ABOARD THE SHOW FLEET AT OUR DOCKS! Trade-in Sale! Bring YOUR Clean Trade!! Visit BENETEAU ON YOU TUBE! We have our fleet of new Beneteaus all in boat show condition on our Lake Union docks and specially priced with factory incentives! This is a great time to buy a new boat! The yards have the time to dedicate to your custom installations and your new boat will be ready well in time for the seasons cruising!! We've recently been designated a CPYB Certified Brokerage, one of the very first sailing yacht dealerships in the Pacific Northwest to earn the title. 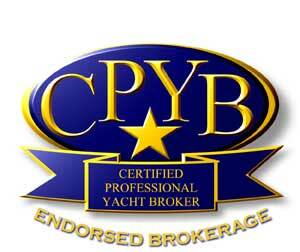 Every one of our eligible sales staff are Certified Professional Yacht Brokers! Our lakefront offices are now one flight downstairs at the marina lake level combining sales, service and our administration all in one beautiful new space. These offices enjoy a new customer lounge, new display entry and a beautiful view of our 40 slip display moorage. This arrangement will provide numerous advantages and an even better experience for our customers. In moving downstairs we have also acquired additional space for customer service, maintenance and storage which we really appreciate having. Despite the vertical move, our address and contact information all remains the same. Stop by and say hi! 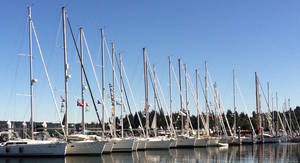 We're proud to represent Beneteau and Fountaine Pajot Power and Sailing Catamarans to the entire Pacific Northwest. If you're thinking of buying or selling, we have some of the best brokers, in the business and an Award Winning Service Team all ready to serve you! Give our crew a call for details on some of our specials! We're here seven days a week. One of the only Lucia 40's in stock and available before 2020!! The Maestro version comprises a spacious owner’s suite with exclusive ensuite, as well as two guest cabins that feature their own private bathroom.